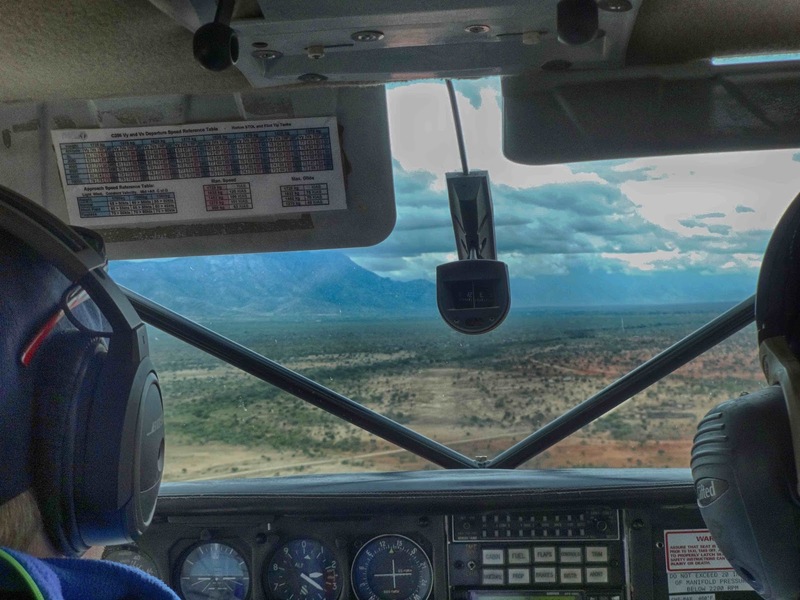 After 5 years of crawling through the Dar es Salaam traffic, to chase up work permits and pilot’s licenses, in my role as MAF Logistics Manager, this week I had the opportunity to fill a vacant seat on one of our flights to Katahe in the South Maasai region. This was my first chance to see close-up, some of the work that we have been contributing to from the Dar office since we arrived in June 2011. 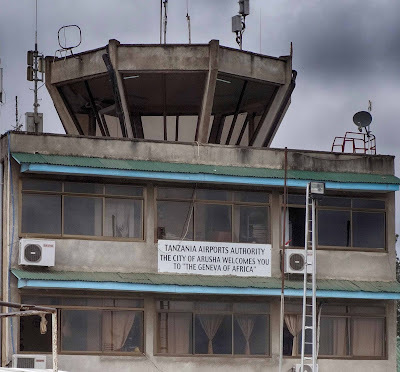 The sign on the front of the Arusha airport control tower, welcomes you warmly to Arusha, "the Geneva of Africa”, however we arrived to a less than welcoming, African Winter sky, with low clouds delaying our departure for around 45 minutes. Our 5-seat Cessna C206 aircraft are small enough to enable them to land on very small, remote airstrips but they can only be flown under Visual Flight Rules, so flying through thick cloud is not allowed. 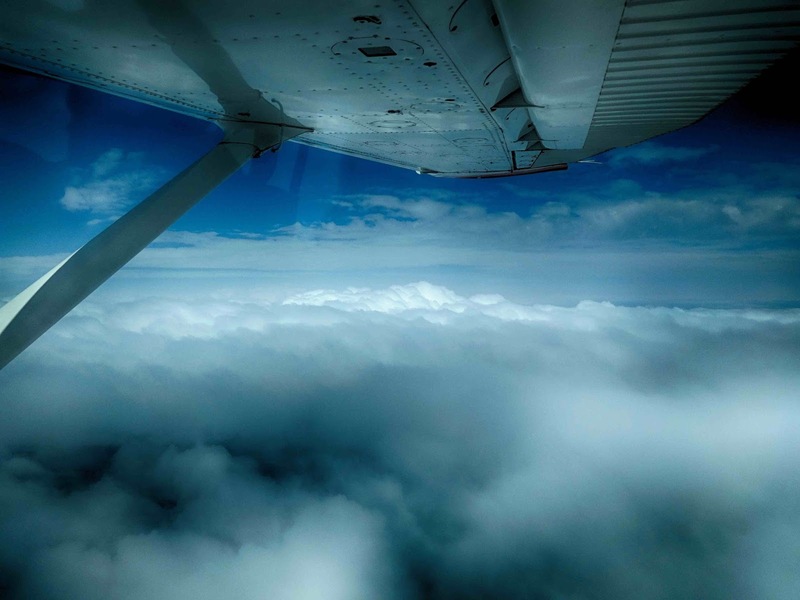 Eventually a small break in the cloud cover enabled us to take-off and climb above it for the one hour journey to Katahe. The next challenge was to find a route back down through the cloud to enable us to land at the village airstrip. 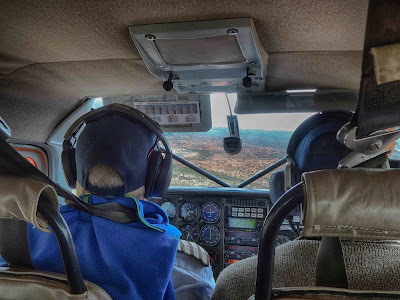 After an initial aborted attempt, Jarkko, our pilot, found a hole and put the aircraft into a stomach-churning series of steep turns to bring us back down below the grey blanket of cloud. 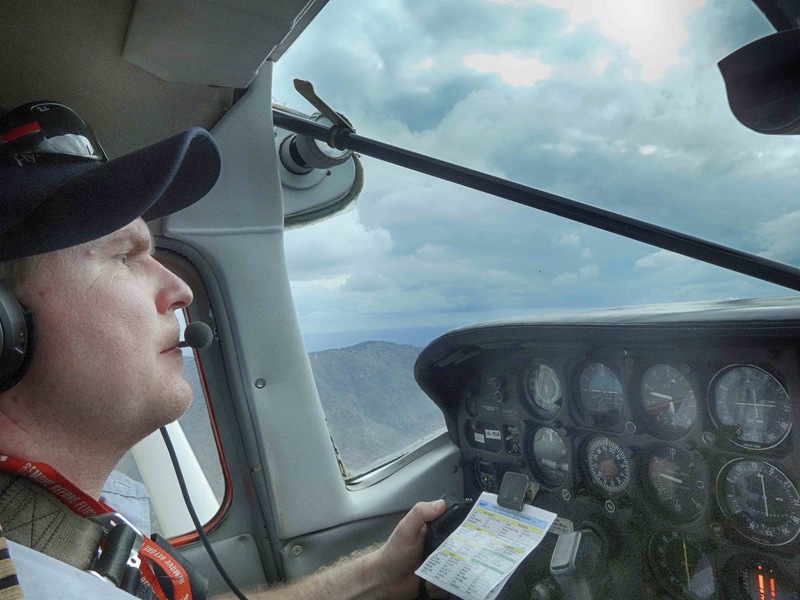 In these conditions it was not hard to appreciate why MAF sets such high standards for it's pilots..
...but after a few minutes of searching, Jarkko spotted the narrow strip of cleared land and so could begin his approach to land. 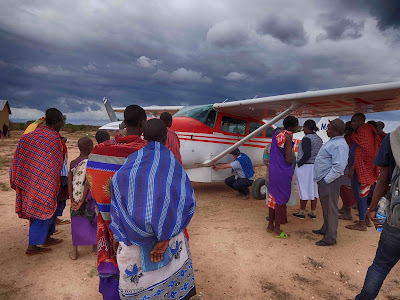 Although this is a regular monthly flight, the arrival of our aircraft still drew a considerable crowd, despite our distance from the nearest town. The villagers welcomed us with fresh chapatis and Maasai chai. This was a fairly unique tasting sweet, milky tea, strongly flavoured by the charcoal fire that it had been prepared over. We were served this feast in the Pilots Hut, a small brick-built structure with a corrugated iron roof. This had 4 rooms, 1 serving as a fuel store, 1 a classroom and then bedrooms for the pilot and accompanying evangelists. 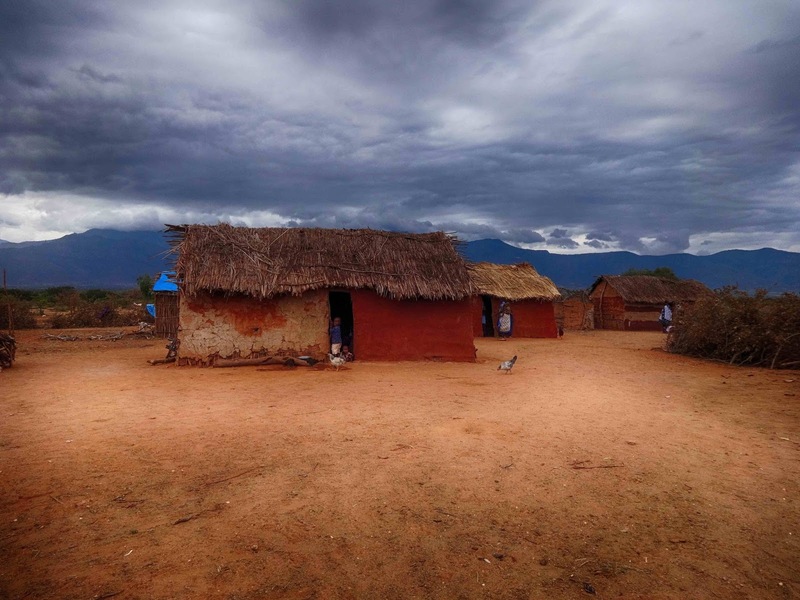 The hut was built by the local villagers using materials bought by some Canadian MAF supporters. 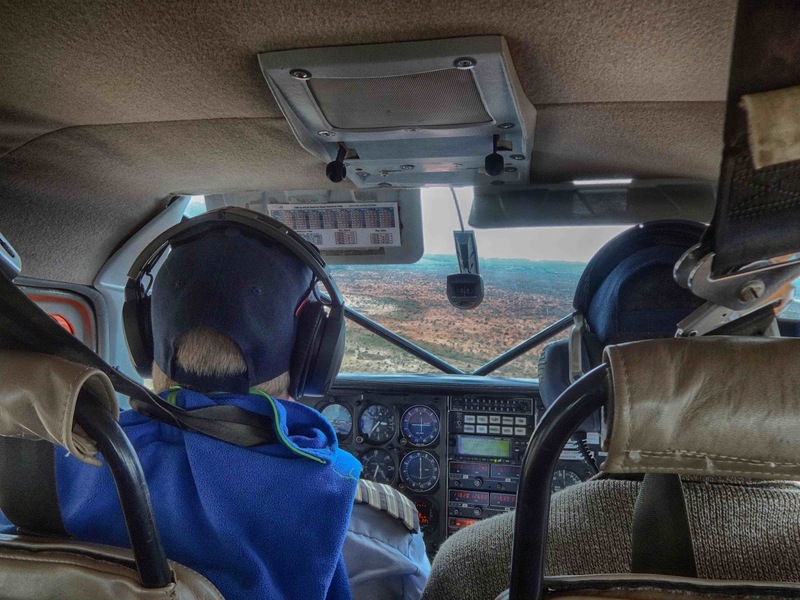 It has proved a great blessing to the visiting MAF pilots who have found the quality of their night’s sleep greatly improved, particularly important during a busy week of flying clinics. 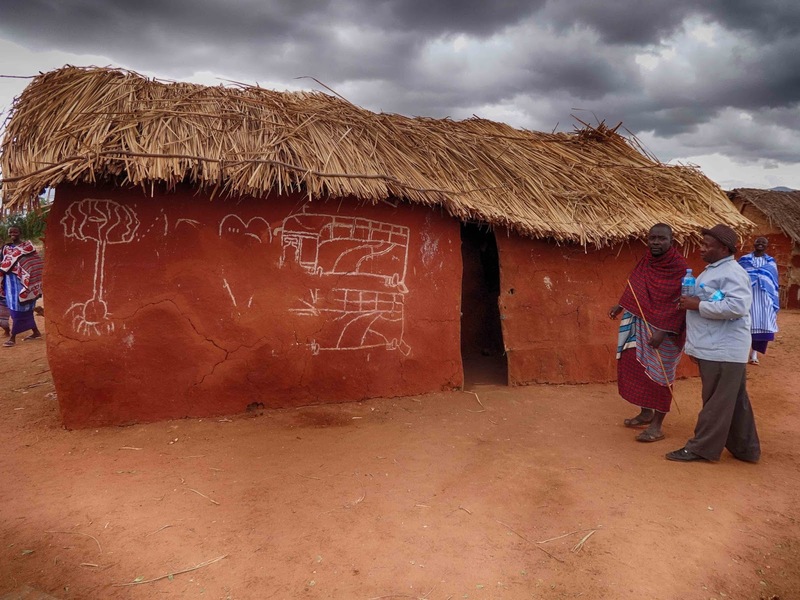 The hut has also been widely used as a classroom and during a recent cholera outbreak, as a treatment centre for the region. After a few quick souvenir photographs, Jarrko and his passengers boarded the aircraft for the short trip up the valley to Lesirwai. So that left me with an afternoon in Katahe, with a few tasks to complete and then some time to meet a few of the villagers. Together with the help of the local evangelist, I walked the length of the airstrip to remove the sharper stones and thorn bushes. In the past our aircraft suffered a series of punctures at Katahe so it has been important to encourage local people to check the runway regularly to reduce this risk. Once that was done it was time to make a short trip, on the back of the evangelist’s motor-bike, to visit the village. It was a day of celebration for the coming-of-age of some of the young men and so there were several families gathered together when we reached the Boma. The main ceremony would be later that evening after I had left but I received an enthusiastic welcome particularly as I had a camera! I was taken into the house of one of the elders of the village to meet their family. We sat in the semi-darkness drinking more chai and then the food arrived. Being a celebration day, there was lamb, deliciously roasted over an open fire and then once this was finished a plate of rice was brought in. As a complete stranger walking into their home unexpectedly, I am always amazed and humbled at the hospitality of Africans, especially on a day of great significance for them. Katahe is very much a Christian village and the faith of the families was very much in evidence as they spoke. 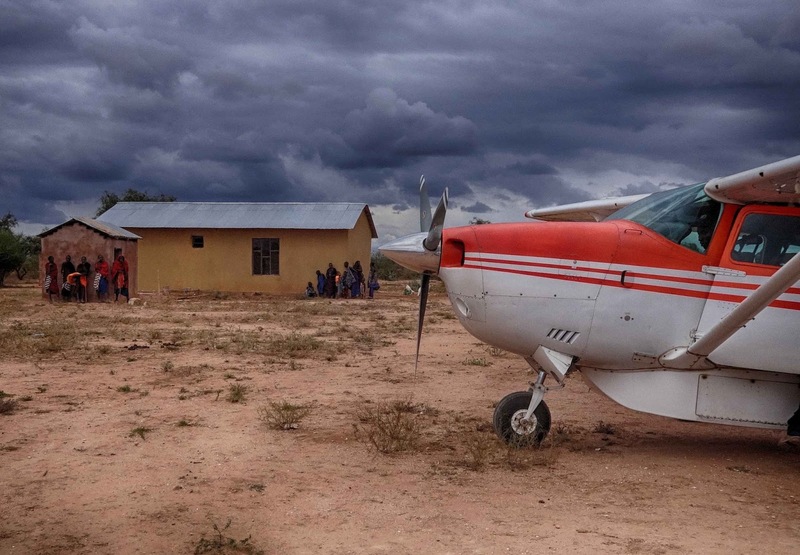 The community built the pilot's hut and actively supports MAF's work in the surrounding region by maintaining the airstrip, welcoming and providing for visiting evangelists and medical staff. 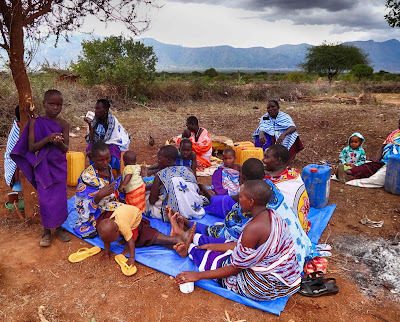 All of this results in virtually no material gain for the village but they are willing partners nonetheless.This year the region was heavily affected by the cholera outbreak. The residents of Katahe escaped the disease but actively supported the use of the pilot's hut as a treatment and vaccination centre for surrounding villages. 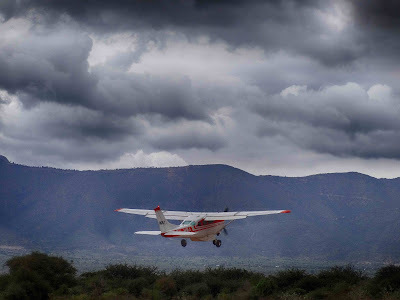 The cloud had remained throughout the day but the visibility below it had improved so that we were able to make a low level trip back to Arusha. After 5 years of playing a supporting role in Dar, it had been a great experience to see MAF's front-line work close up and to see how lives have been changed in the remote Maasai communities. The villagers of Katahe have very little material wealth but the way in which they share the love of Jesus with those around them, through their actions, was truly inspiring. 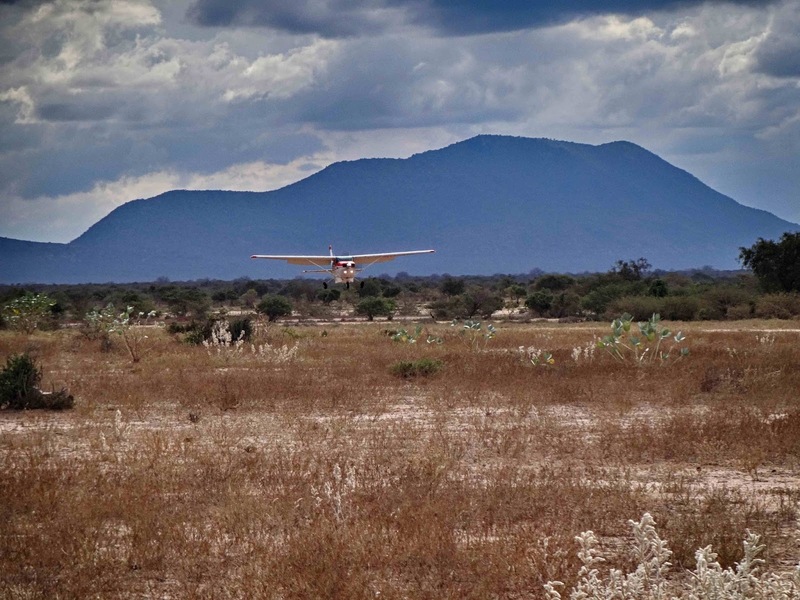 Many people have asked us if we have good medical care where we are in Tanzania. I shall start by explaining what it is like for the Ex-Pat, the Mzungu, living in Tanzania. 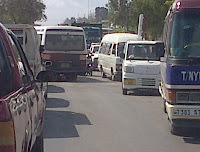 Well, we are amongst the ‘fortunate’ who live in Dar so we are able to get to a western type hospital if necessary, if you need to see a Doctor here there is no separate Doctor’s surgery – you have to face the hour or so drive into town to go to the ‘hospital’. MAF personnel in Dar es Salaam tend to go to IST – (The International School of Tanganika) which has a hospital (doctors surgery with a couple of beds in case they need to keep anyone in overnight) built on the outer school wall – not far to go if you are at school here and need the nurse!! . This hospital has doctors from all over Europe and India as well as national staff, is well stocked with medicines, has a pathology dept (essential when dealing with malaria) and looks generally quite Western – although you soon realise that they are actually dealing with much less equipment and less up-to-date facilities than a doctor’s surgery or A&E Dept back in the UK would have. Firstly let me say that we have been very healthy since being here. Jack had an amoeba which needed a trip to the hospital/doctor, blood test and strong medicine to kill the little blighters in his stomach and Robyn was accidentally bitten (a scratch which broke the skin) so we had to take her to get the final 2 rabies shots (we were so thankful we had all had our Rabies vaccinations in the UK before coming out, this meant she only needed 2 shots instead of 5 and we were able to wait until morning to take her rather than rush her in during the peak traffic nightmare time). We are still waiting for Harry to get really sick. With him he kinda just self destructs - scrapes, cuts etc but on a fairly huge and dramatic scale!! Because of the traffic you have to be really sick to warrant being taken into town to the hospital, and I mean Really Sick! Most of the time you just self medicate. Our kids will tell you that if they get sick; stomach problems mean starving and drinking coke, head colds etc mean no sympathy just take a couple of paracetamol and some tissues and get on with it, fever needs to be brought down and stabilised as quickly as possible by whatever means, and the best cure (I’ve found) for suspected malaria in our 3 is to show them the self-test kit needle. Joking aside sickness in children is a really worry for parents, especially in the young as they are still eating dirt etc and just seem less able to fight stuff off. Children go downhill fast here as they dehydrate so quickly and therein lies the danger. You can buy almost anything over the counter here that would need a prescription for back in the UK (the same goes for veterinary medicine too which is quite useful!). The pharmacists are great; most medicines including antibiotics can be bought at any local pharmacy without the need for a prescription, just say what you need and how many we are also blessed with many nurses and the odd Doctor in the Missionary community. So this is Dar – we still have our worries, and children (or indeed adults), often get sick and may even need medivac-ing out to Niarobi, Kenya or South Africa. But at least we do have that option and a reasonable level of medical care that can help or move you out fast to somewhere that can. We have learnt the valuable lesson of just trusting God and praying every day for His protection and healing hands on our lives. You can never underestimate the power of prayer and having to totally rely on God as you just haven’t got the resources often to do things on your own. Those that live in villages are not so fortunate. 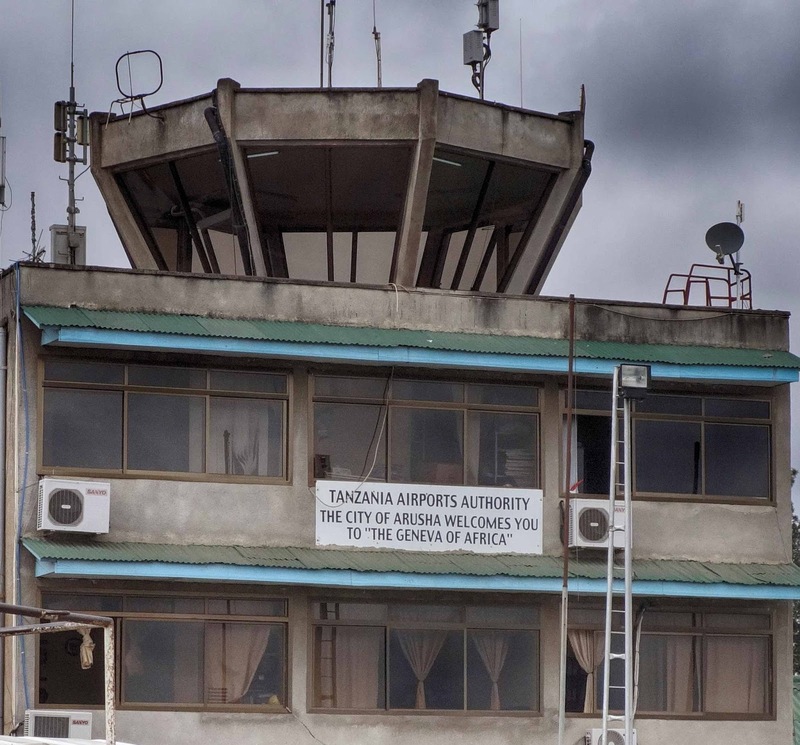 They have to trust on what is available to them, friends or people they may have living and serving in their community or face the trip to Dar which could mean at the very least a day’s travel by road. But at least there is help if you can get there. Hospitals in Dar for nationals are very different from those that the Ex-Pat community and wealthy Tanzanians use. When one of our guards, Robert, was very sick and taken to hospital it was 2 days before there was any information as to what it might be. I went to visit him with our 2 other guards. I took some fruit – no food is provided for the patient that is the responsibility of the family, as is the day to day care – there are no nursing staff to do this. A nurse is there to hand out medicine and keep records up to date, she may also change a bandage or other dressing but other than that care is the responsibility of the family. On entering the hospital - which I mistook initially for a local house as it was so small, run down and very dirty – I found Roberts wife lying down on a bench outside his room trying to get some sleep. She immediately got up upon seeing us arrive and showed us into his room. My first thoughts were “This cannot be a hospital”. The room was small, only just big enough for a single bed, a wooden bench seat and a cupboard full of junk where patient records were also kept. The paint on the walls was peeling and there were several indentations were they had been knocked and they had begun to crumble. There was dust from brickwork and the eroding concrete floor everywhere. The old metal hospital bed had a plastic coated mattress, no sheet, and a plastic hard cube for a pillow. The sun was beating down through the window that had no curtains to provide protection from its rays so the searing heat made the plastic bed unbearable. The window had the usual bars but the mosquito screen was torn in several places so unless the mosquitoes were larger than a small person they had an open door to enter. The net above the bed was so dirty and torn that again it afforded little protection. Whilst we were there I learned Robert had a very bad case of Malaria – whether this was contracted in hospital or before we don’t know. No information is given to the patient about their condition, treatment or future prevention. Knowledge is power, if the patient learns too much he will have the power and not the doctor. 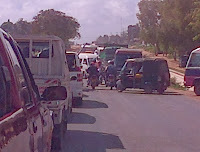 This is one of the major problems with sickness and disease here in Tanzania. People do not even know basic hygiene skills. The thought that living amongst so much rubbish could make you sick comes as somewhat of a surprise. Washing your hands frequently with soap as a preventative measure is news that many have never heard. Our workers think I have great medical knowledge because if they have a burn I tell them to use Aloe Vera; a headache means a couple of paracetamol, wear a hat and drink both the bottles of water I am giving you! I clean and dress the kid’s cuts and scrapes, give them coke for an upset stomach and monitor their temperature rather than rush them to a hospital every time they get sick in case of Malaria. I am aware I can panic less because my very basic knowledge allows me that comfort. 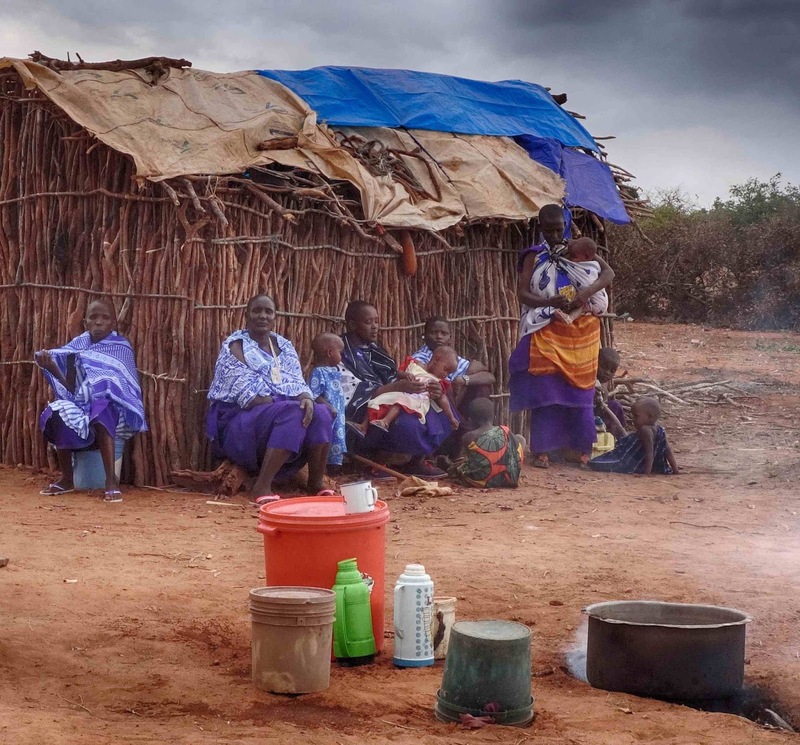 We are much more aware of how to prevent getting bitten by mosquitoes and have protected ourselves accordingly, many Tanzanians don’t have this luxury as roofs, even the one on the hospital, do not meet the walls so there is a gap of at least a foot between wall ending and roof overhang. There is often no ceiling as such just wooden joists to support the metal roof. I digress from hospitals to building regulations but hopefully you get the picture. On the surface there is healthcare in Tanzania, if you live in a city, are wealthy or work somewhere that pays your medical bills. There is no free healthcare. No NHS to care for the young, elderly or vulnerable. On a final note there is also disparity between available medicines. If you can afford them there are UK, European and US medication or for a cheaper alternative (let’s say for your worker), medication from India or other more dubious places where it is copied with less controlled care. 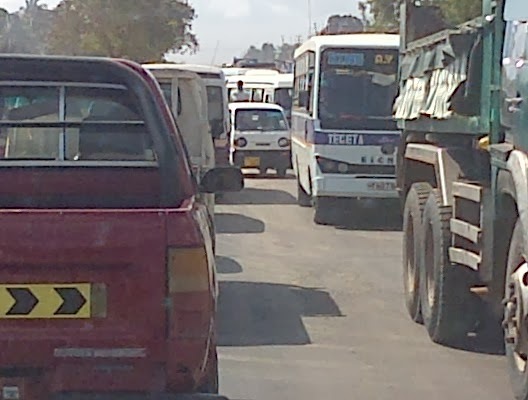 Getting sick in Tanzania is a bit like playing Russian Roulette : but if you are wealthy you own the wheel! SEW - what did you do this week? Today is the day Jack returned to us having been away for the week on a SEW trip! Service Emphasis Week (SEW), is a complete week off school timetable when the whole of Secondary serves in the community around Tanzania. 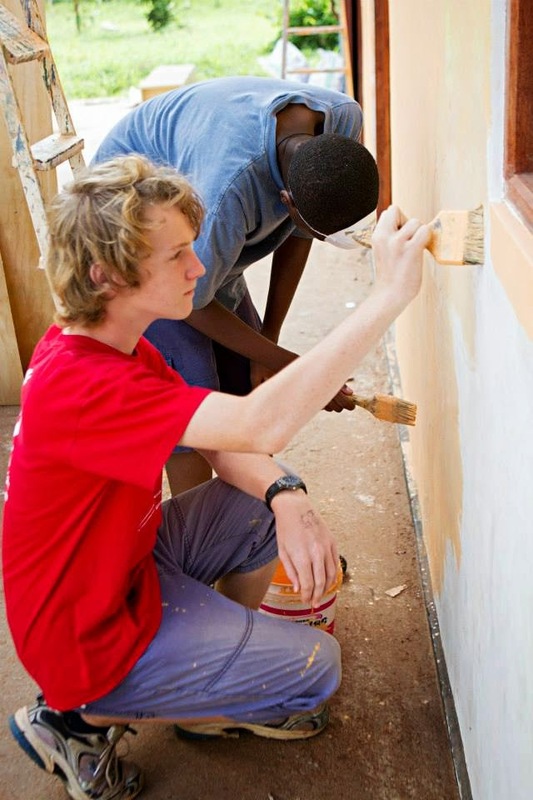 Over the last few years Jack and Harry have served the kids of Sala Sala in a week long kids club, taught science to primary children from a local school, built shelving and dug a fire pit at the Nuru Centre and decorated and put mosquito screening up at 'Williams Nursery'. This year Harry went everyday to 'Changamoto' (Challenge), a Christian project run by Spanish missionaries that work to rehabilitate drug and alcohol addicts. The men that come to their project are helped to rebuild their lives through the power of the Gospel and learning carpentry skills. 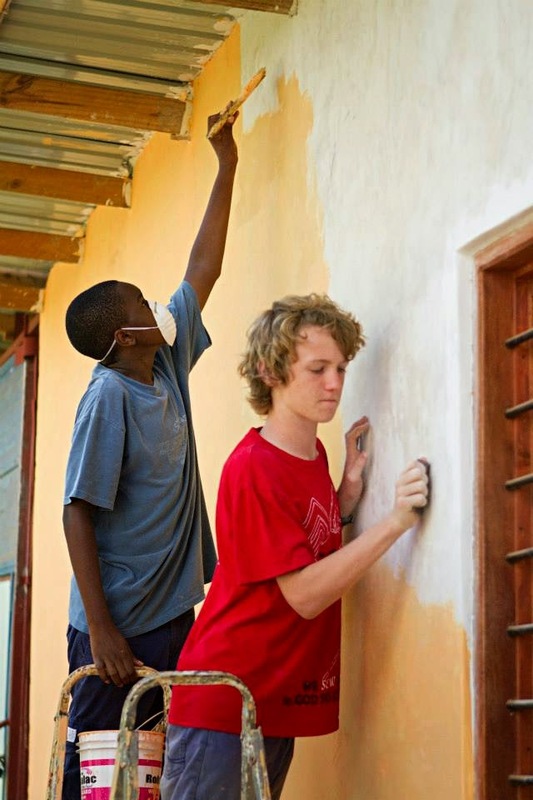 Harry and his team painted walls and sanded furniture for the first 2 days. The following day, despite a raging head cold and feeling exhausted, Harry returned to paint, sand and cut grass. Cutting grass is done with a panga, a long metal blade with a 'foot' at the end, which is swung back and forth to slice the grass. Harry insisted you didn't feel tired doing it - until you stopped! His hands however bore the scars of his labour, several burst blisters and stinging palms made him realise how hard ours guards work cutting our grass at home. Jack was given the opportunity to go on a residential as he is now in grade 9. He went to help the Danish Mission, Soma Biblia (Read the Bible). 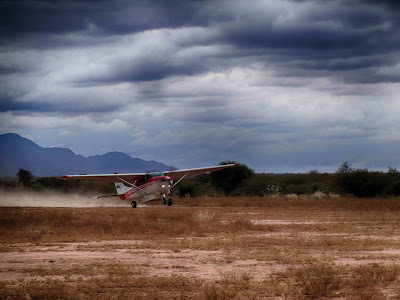 A 7am Saturday morning start from the school car park was a bit of a shock to the system for Jack but he had to travel about 4 hours to the Morogoro area. Here he gave out tracts (Christian literature), at the local market, visited some local schools to give out Bibles and on Sunday at church they sold Bibles and other Christian literature. Sunday afternoon he returned to Dar to the headquarters of Soma Biblia. There it was packing and stacking boxes of Bibles to later distribute on the streets of downtown Dar. Services Emphasis Week is a time when the pupils of HOPAC Secondary school get the chance to really learn about service. It's not about what they do, although all the projects they serve at benefit enormously, but it is what they learn that makes the difference. They learn to serve others, they learn to humble themselves by putting others first and most importantly, they learn the joy of service. A new chapter has started with the beginning of 2014. We returned from the UK happy that we had managed to see so many of our friends/supporters yet sad that we were unable to spend time with more. We realised anew just how fast the pace of life changes as we realised how much we had changed, and how more 'african' our outlook on life has become. Our priorities our changing too. God is teaching us what is really important in our lives; our relationship with Him first. 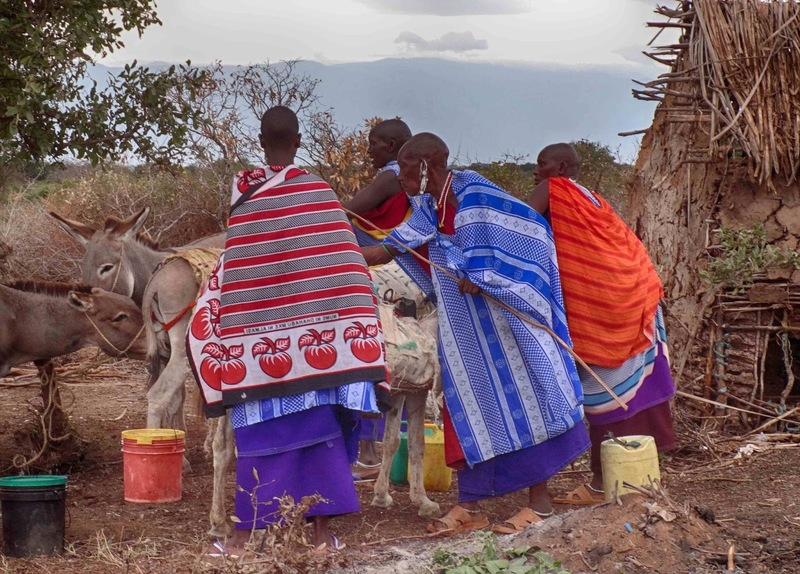 We have seen many people come and go during our 3 years in Tanzania, the missionary life can often seem as a time when all you do is say 'Goodbye', but this too has been a blessing as it teaches us to rely more on God than people. One particular event right at the beginning of this month (January), was a time we had to learn to say 'goodbye' to a very special lady in our lives. Mama Mawazo worked for us in our home from the beginning of our time here in Tanzania. 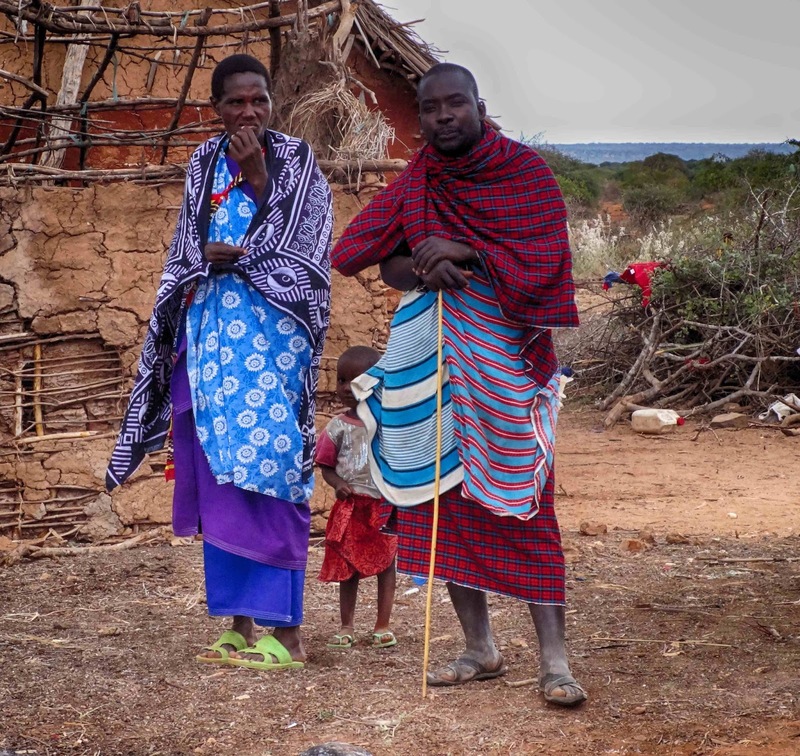 She helped us not only with the cooking and cleaning as we came to terms with our new culture here in Africa, but also was a real tower of strength for us spiritually as her joy for the Lord in all circumstances carried us through many difficult times. Mama Mawazo succumbed to HIV/AIDS like so many people here in Africa. Her life started in a Muslim village just outside the beautiful mountainous countryside of Morogoro. About 10yrs ago she moved with her husband to Dar es Salaam for a better life and education for her growing family. 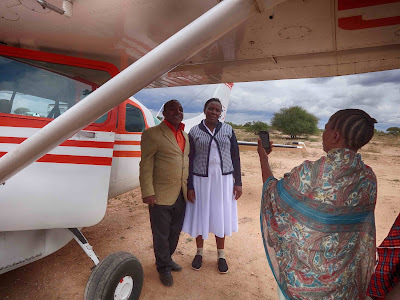 Mama Mawazo began work for a HOPAC family (Haven of Peace Academy), which was her first encounter with Christians who regularly prayed and read the bible together. Over time she learnt of a Saviour who loved her and gave His life for her so she could have life to the full and surety of eternal life. 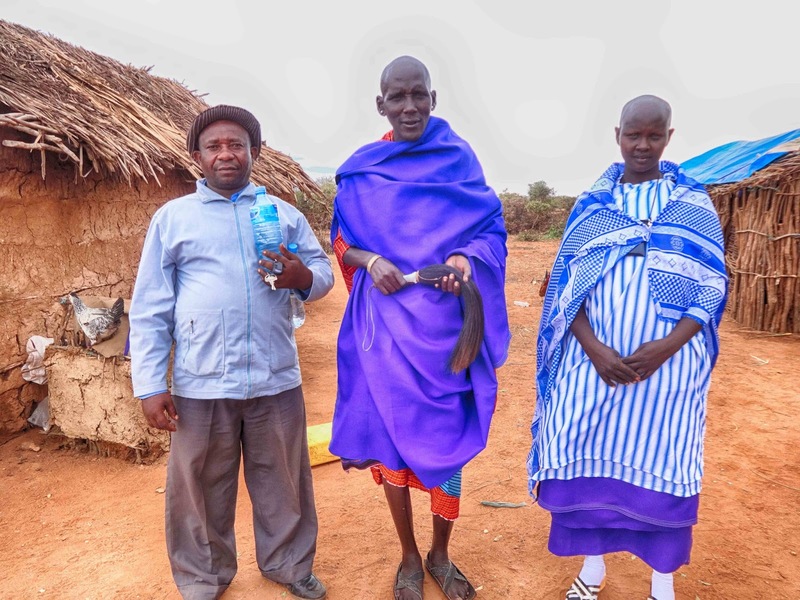 Mama Mawazo and her entire family accepted Christ as their Saviour and were baptized at the Nuru Centre Church where they continued to worship. Her husband later died leaving her to bring up her 4 children on her own. Her new faith sustained her and she never stopped smiling and praising God. Her 2 boys, now in their early twenties, are currently at college; Mawazo training for Hotel Management in the Tourist Industry and Msaphiri hoping to be an Engineer. Her daughter Pili (16yrs), is still at Secondary school studying for her GCSE's. She lost sight in one eye last year, (due to poor diet and quite common to many here in Tanzania), but is determined to get an education - her mother's heartfelt dream for her daughters so they can have more of a chance in life than she did. Gladness (9yrs) is still at Primary school. 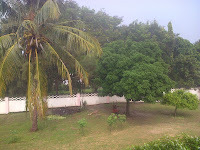 The children are still in Dar, at their home, but very much have to fend for themselves. They rely on extended family and friends for food, rent and school fees, but at least they have not been ordered back to the village - a plight for most daughters particularly when parents die. Theirs is now an even harder life, each day a struggle to survive through to the next. Mama Mawazo's funeral service was one of celebration for her life. The Church was packed with many having to stand. It was incredible to see how many lives she had touched. Her love for children and desire to to share Jesus with everyone, led her to work with the children in the local area teaching 'Sunday School' to a group on a Friday afternoon many of whom have accepted Christ as their personal Saviour. Mama Mawazo was a wonderful example of Christ to all she met. Her joy that she had found in Jesus spilled over to all. Thank you Mama Mawazo for all your friendship and joy as you showed us Jesus in your life each day. The day of Student Council Elections had arrived. My 10yr old daughter was running with her two friends for election. They had been permitted to pick their own teams and at least 15 out of a class of 25 had decided to run. We had spent the previous 2 weeks rehearsing, rehearsing, rehearsing- when not at football practise that is! Robyn was running for President - I didn't know how I was supposed to feel about being the President's mum but 1 did know that I knew their speech off by heart and could probably run for them if they got stage fright or forgot their words! Joah was running for Vice President(S.A), and Chema (TZ),for Secretary. They made a good team. Every one of the 15 candidates had a good team. Here was a great class stepping up to their responsibilities as 5th Graders with all the drive and ownership only this class could possibly muster! Competition was tough as each of the teams were excellent and would have done a great job! I have to say though the 'Minions' were the best presentation (ok maybe I'm a little biased), and certainly the most entertaining with the best costumes!! It all started with the 'Minion' Song. . .
Then some policies . . .
A Reminder of who to vote for . . .
And 'Shine Jesus Shine' - Minion Style to finish! After a week campaigning and a day to talk to voters the 'Fab Fifteen', as they became known, had run an excellent race. But it was with great relief to find out that all the hard work had paid off - Robyn and The Minions were now Primary Student Council Representatives!!! Yay!! You may have heard how the old hymn goes: 'Count your blessings, name them one by one.' So as one day started to overwhelm with things going wrong I decided to look on the bright side of life and follow this advice! A typical Wednesday morning arrived with the cry of puppies at 5am - Blessing no.1 as they started at 3am the last couple of days! The power was on - Blessing no.2, it had been off last week, also Blessing no.3 the fact that the mornings are now light enough by 5am to not need power to see to put my contact lenses in! Blessings no.4, 5 and 6 followed quickly as I woke the kids up, Harry and Robyn had had an earlier night last night so were much more pleasant at 5.45am than on previous days, Jack, well, he's a teenager! 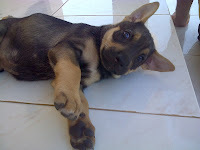 Molle (Swedish name definitely NOT Molly as he get very offended! ), our big male Rhodesian Ridgeback dog, greeted everyone - Blessing no.7 as he has injured his back, is on anti inflammatories and in a fair bit of pain. He has been thoroughly miserable and not eating for nearly 2 weeks now so this was a good sign. Blessings no. 8, 9 10 and 11 came rushing into the house to greet us in the form of our other 4 dogs; Gandalf, AWOL, Sprinter and Millie. Where else would we have been able to have so many 4 legged 'friends' who are so happy and excited to see us each morning as if we had been away for just - forever!! Blessing no. 12 a beautiful sunrise turned into Blessing no.13 a bright blue cloudless sky with shining sun, sorry everyone in the UK if its dull, grey and raining, but rain is an amazing blessing, so refreshing, we just don't get enough of it here! Blessings 14, 15, 16 and 17 romped their way up the steps falling over themselves in their eagerness to greet and be greeted - at 6 weeks we are preparing ourselves to say 'goodbye' soon to Badger, Black Beauty and Lady Galadriel. Morpheus will be staying as sadly we had to have Bilbo put down. Harry was excited to see I was cooking scrambled eggs - Blessings no's 18-28, our amazing Chickens and their fresh eggs, even had a double yolk yesterday! (It's ok not all of them have names, just Fog Horn Leghorn, Col.Kentucky, Nando's, Reepicheep and Cheekycheep!) -Harry however was less than thrilled to hear the puppies were getting the double yolker for their breakfast, my reasoning being I could deal with a 13yr old who was more than capable of cooking his own eggs but 4 hungry pups tripping me up and chewing my toes was beyond my endurance! 7am - time to get into the car to get to school. Blessing no. 29 the car starts (not always the norm I must say). Blessing no. 30 all 3 children, bags, lunch boxes and water bottles in the car - although Jack did have to get back into the house to get his shoes! It has been known for Jack to forget his shoes on several occasions when we are going out or leave them behind somewhere (like in Ruaha National Park?! ), so we often tell him not to bother with shoes, although for school they do tend to need them as he discovered one day when getting out the car to the realisation his trainers were still at home and he had to borrow my flip flops (green and pink), until I could get home and back to school with his. Traffic was awful with so many more cars cutting through to avoid the problems of the busy market area of Tegeta and now with the new road construction meaning new housing developments springing up bringing many more cars, quarry and construction trucks, bajaj and pike pike(motorbike taxi's) onto our normally reasonably quiet road to school. 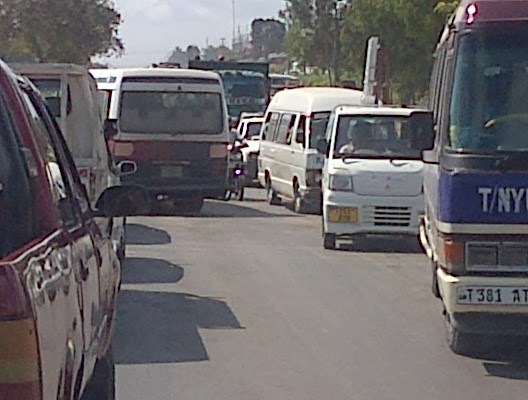 Having followed the school buses, dala dala's (public buses) with people hanging off, pike pike's and morning rush general traffic past the busy market area of Mtongoni where life just happens despite itself, avoided cows, goats and school children crossing the roads (and the dead dog that didn't make it), over several speed bumps and up the hill towards the bit where the road is semi-closed and crumbling away, we finally arrive at the junction to cross over to the children's school. I would like to call this junction a crossroads but it doesn't resemble anything you would recognise as such, apart from the fact that everyone is very 'cross' whilst trying to navigate a route over the 'roads' to get to where they want to go. Cars are coming in all directions, this morning I counted at least a possible 12 or so different lanes all pushing to go first, and of course no police in sight to 'assist', although I must say the traffic does seem to work itself out better without their 'help'! As we sat in the middle of 'no man's land' we had 2 lanes approach from in front to the right coming down the hill, the side of the road they should of been on was closed, 1 lane was coming straight towards us, 2 on the left in front coming up the hill and 1 more just above them on what is really more of a path than a road but might get them there quicker! There was the lane we were in trying to go straight across, and 1 or 2 other lanes developing around us all trying to do the same. Behind us there were 2 lanes trying to get onto the main road (African style), and 2 lanes trying to get off and cut down another dirt path to avoid having to wait. Blessings no. 31 and 32 the traffic was at least still moving and your brain gets a thorough work out trying to work out the puzzle of a route across and back - who needs 'Brain Training' when you live in Dar?! Blessing no. 33 - guys from Knight Support who help with the traffic outside the school, protect it's gates and grounds and stand to attention and wave enthusiastically as we drive past them in the morning! Great guys always smiling and willing to help! Blessings no. 34 - HOPAC, our kids Christian school that is safe from the chaos outside it's gates, where they learn so much more than just academics, their spiritual life is nurtured and they can grow into young men and women of God. Blessing no. 35 we arrive on time, in fact 5mins early and all 3 run excitedly to class, ok, so slight exaggeration, all 3 wander off grumbling about being hugged in front of the whole school and the fact that it's already too hot (remember those clear blue skies and sunshine at 6am?). Blessing no. 36 I navigate what by now has broken down into complete chaos and bears no semblance to a road/dual carriageway/junction and head home without incident. The 'you are pushing your luck running on fumes' warning light is still on but, Blessing no.37 by the grace of God I arrive back, not having had to stop and wait as usual for the National Defence Army recruits as they run up the road, but being allowed to continue to drive slowly past as they swelter in full kit, back packs and rifles in 35oC. 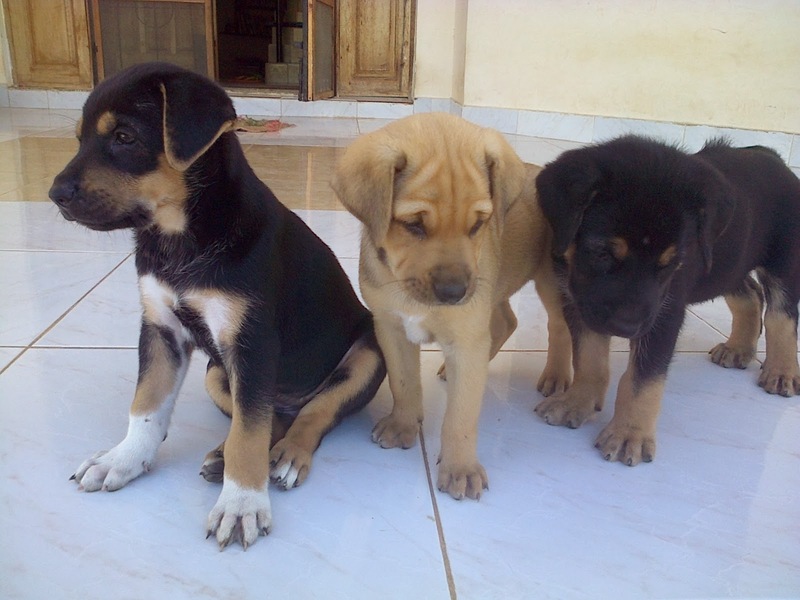 On returning home 8 dogs of varying size greet me and suggest I might like to take them for a run on the beach as they try to climb into the car. On opening the house door Molle ambles out, enjoying the fact he is on 2 weeks bed rest and so can't be left out in the hot sun on guard duty to 'rough it' with the other dogs, when its so much more pleasant inside on cool tiles! Blessing no. 39 - I discover the puppies hadn't eaten all their breakfast but it had been put out of reach of the other dogs so they can have it later for 'chai'. It's nearly impossible to find puppy food here so I'm improvising using guidelines found on line and from our vet although they eat so much and we have no more money until the end of the month so as they say, 'every little helps'! Blessing no.40 I have 5L of fresh milk from the cows next door to boil up which tastes so much better than the UHT alternative that is available. 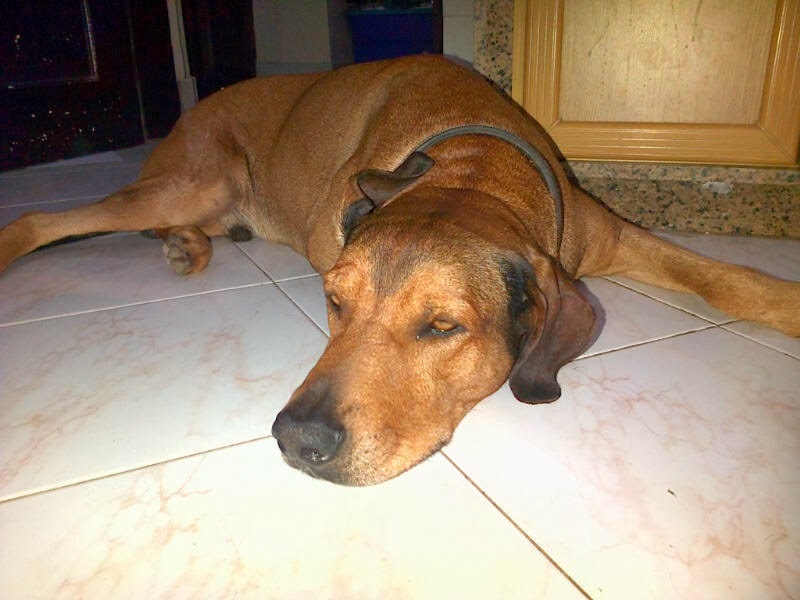 I also boil up some chicken livers for the puppies to mix with Ugali for their lunch and dinner, and no doubt for Molle as he seems to approve of these rather than the Ugali and Dagaa (small dried fish) the rest of the dogs will get. As I hear the fundi arrive to collect the generator which died over the long school break, I turn to notice Molle had been sick, not carrots, but milk, curdled and smelling rather rancid in the heat! The tablet I forced down him on an empty stomach seemed to have back fired on me. So I collected the mop and bucket to clear away the new water feature that was beginning to cascade down the steps into the living room. At this point Gandalf walks in followed by 3 of the puppies who slip and slide in the offending vomit before I can get them back out - when Gandalf first learn't to open doors it was cute, not my immediate thought now. Just As I finish mopping I remember the milk! As it is about to boil over I rescue the cooker from a milky baptism (I should really name it Cleopatra the amount of baths of milk it takes), and remember also to turn down the chicken livers - foamy liver juices is never a good look over your gas ring burner! 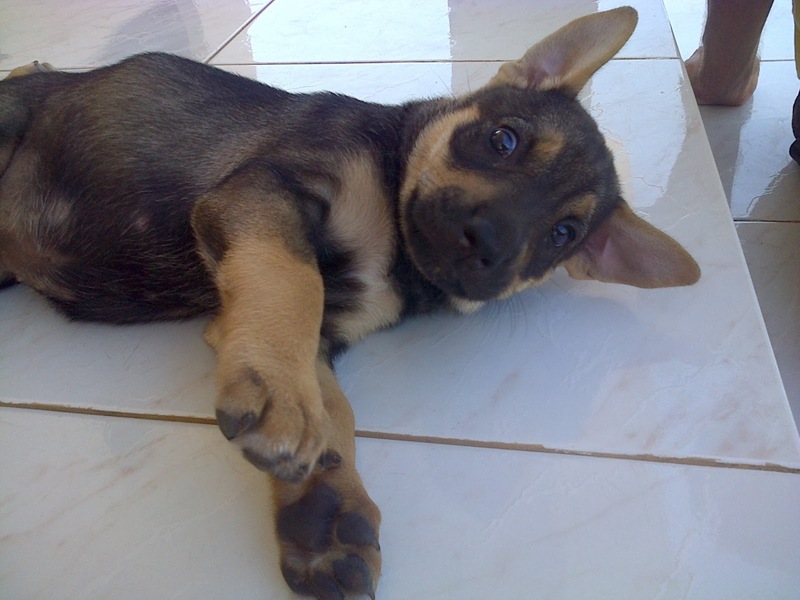 Molle is now showing interest in the chicken livers that are cooking but having found 2 more piles of milky vomit he's not in my good books - nor is the puppy who relieved herself in the house sneaking in as I went out to give the fundi a hammer! Blessing no. 41 the generator is now released from it's prison, chains broken, and is now in the back of the fundi's vehicle on it's way to being fixed before we have any 20hr + power cuts that mean the fridge and freezer leak all over the kitchen floor. Blessings 42 and 43, Tom and Barbara (otherwise known as Neo and Trinity by Jack), are happily settled and running around with the chickens - hopefully eating ticks that plague us due to having so many cows near by. As I throw stones at the crows that threaten to steal the chicken food that I've just put out, I remember another Blessing no.44 - Robert, our guard/worker found where we could buy 70kg of chicken feed for 20,000 Tanzanian Shillings (that's about £8)! Not quite the same quality as before but then at nearer to 80,000 Tsh (£20) for the 70kg they are going to like it! This reminds me that of course some of our biggest blessings are our workers; Robert, Mama Mawazo (who helps me in the house), Isaac and our new guard Joseph - Blessings 45, 46 and 47. The sea breeze, Blessing no. 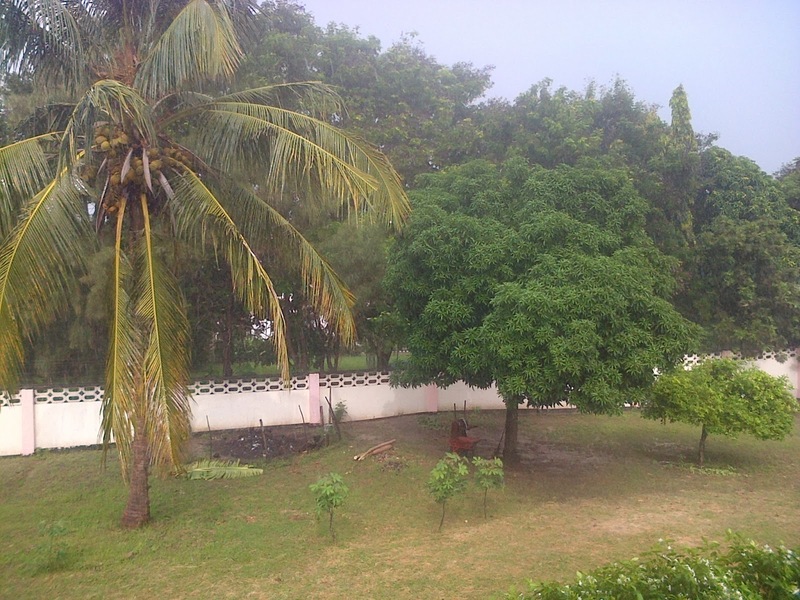 49 is gently blowing the coconut palms which rustle in the background of exotic birdsong - Blessing no. 50 - I was really not looking forward to leaving behind the beautiful chorus of the British Songbirds when we came to Tanzania but God has blessed us with amazing birdlife, some downright bizarre but most of which have a beautiful call. I can honestly say I haven't missed my old favourites at all - although I long to be back one spring again just to hear the dawn chorus and see the blossoms on the trees. A wonderful blessing . . .
A true blessing was given to us the other week! The morning started with a beautiful sunrise and gentle cool breeze. After the usual morning rush and chaos to get everyone to school and work at the right time, I had a few minutes to catch my breath before heading to the butcher to get some meat before the flies beat me to it. As I arrived the meat was freshly hanging on large hooks reminding me of something from a living history museum I have taken the children to on many occasions back in the UK. This now is so normal; cutting a slab of meat off a carcass with an incredibly sharp knife, then chopping the bone smaller with an axe on a tree stump. It seems strange that many of these butchers shops are looking to modernise by getting electric meat saws, yet still meat is just meat, different cuts are unknown. I returned home with my hard won 'nyama' picking up Mama Mawazo (my house help) on the way. This morning was to be a special start to a much awaited event. Today we would meet our first ever visitor to Dar from the UK!! Pat Knight with the Kids! We drove the hour or so to get to town and then spent about half and hour finding somewhere close to our meeting place to park. I had to dash and find yellow T-Shirts and baseball caps (next blog will explain), whilst Stewart went to meet a customer who needed the help of MAF to organise his paperwork and logistics with arriving into the country with his family. Dar was its usual busy self but I was fortunate to be able to find what I needed straight away in the first shop I went to - Praise God for everyday miracles! I then hurried to the hotel where Stewart was meeting his client to wait for the phone call to say our friend - Pat Knight, had been safely dropped off. Having just ordered a water the phone rang and I left to walk to the rendezvous. It was so good to see Pat standing there! We went back for a quick soda then, once he was ready we headed back to pick the children up from school. Pat explained he was on a 2 week mission with African Inland Mission, turning containers into living accommodation. This was his second week and they were getting on well though I could sense his frustration with the African 'pace' that things are done. It was so good to catch up with him and the children were delighted to receive chocolate brought all the way from the UK - tastes so much better. We hurriedly changed as it was Tuesday and Tuesdays at 4-6pm mean just one thing - Sala Sala Kidz Klub!! We rushed back to school with Pat to show him some of the work we are involved in, ministering to the quarry children that live just behind HOPAC, our kids school. Every week the children come from the quarry behind the school where they live, to play on the playground with all the play equipment, be it lego, hoops, pike pike's (toy ride on motorbikes), swings, roundabout or climbing frame or simply a game of 'chase and capture Jack or Harry!' After an hour or so of play and a craft activity, the children gather to wash hands and then sit in the covered banda to hear a bible story or teaching on a biblical theme - a simple, clear 10 minutes when they get to hear of God's love for them. After a prayer it is snack and drink then home. These kids are great, they are amazing. they have nothing yet they we receive so much from them. Pat getting to know Isaaka and his sister. This week the kids got a cup of pop corn which was a great hit! The snack always goes down well and is a real treat for these precious little ones. It was also a treat for us to be able to share these guys with our friend who we know went back to the UK with lots of fond memories and a real sense of God working through him to reach out to others. The best thing is you don't need to be on mission, in Africa or anywhere else other than where you are for God to use you to reach out to others. What we have learnt with these kids is that you just have to be there and be real for them. Love them as Jesus loves them, be His presence for them and show them how they can know Him. We are learning that it's not what we can do for God, but what He is teaching us through what we see and what others are showing us - like these kids from the Sala Sala quarry. Eighteen years working for motor racing teams might seem like odd preparation for mission work in Africa, but apparently not to God! 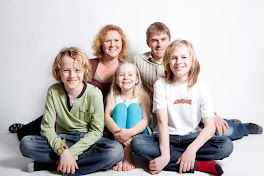 With our children Jack, Harry and Robyn, we are now preparing to move to Dar es Salaam, Tanzania, to take up new roles there with MAF. Stewart was brought up in a Christian family and had always had a keen interest in motor racing eventually working with Jaguar in Formula 1. For Michelle, this move is the result of a calling to mission in Africa, which she first felt at the age of eight during a school assembly. After meeting in Michelle’s home town of Norwich, we married and moved to Kettering a year later. We joined Christ the King Church soon afterwards, and were involved in a variety of activities but particularly in the children’s and youth work. Feeling God calling us clearly into full-time mission service overseas led us on a brief trip to Tanzania in 2010 to explore potential opportunities to serve there with MAF. Stewart serves as Logistics Manager at Dar es Salaam, overseeing the office and liaising with other mission organisations and NGOs in the region. If you would like to receive the MAF UK email newsletter please click through to sign up here.